Perspective illustrations of cities and landscapes have always been maps that inspire. 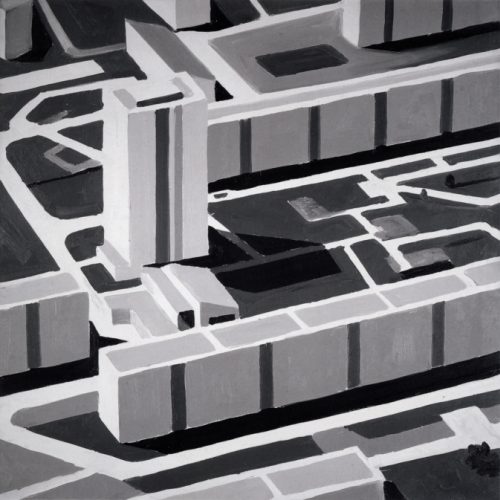 They tend to be highly illustrative and show places in detail. This example of Tokyo by Benjamin Sack is both typical of the genre but also unique in that it takes the rendering of the environment to an incredibly detailed level. 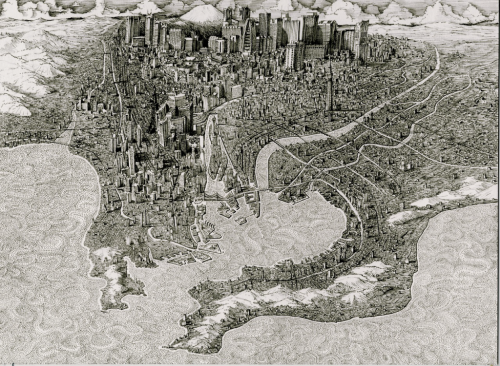 The map uses a typical perspective view which incorporates foreshortening. While creating difficulties in measuring from place to place it’s a highly effective way of rendering an image that mimics the human point of view. What Sack does well is use shadow and depth of ink to make the background darker. This creates an illusion of depth in the image. The foreground water uses some subtle texture to create a more interesting image. Overall, a beautiful map that uses light and dark to great effect and which illustrates the power of black and white maps. Maps have always been used as basemaps for the creation and publication of other maps. Normally referred to as compilations (as in the compilation stage in the cartographic process), but also as mashups in the modern map-making vernacular, we use existing work atop which we place our own new information. This allows us to use someone else’s surveyed work to reduce the need for making an entirely new map but it also gives us a useful reference geography. This excellent example from a USGS aeromagnetic survey of 1969 uses their own 1956 topographic quad sheet as a base. They’ve removed all colour and retained only the very basic linework, typography and patterned fill symbology. These are in thinner line weights to enable them to recede to the background. The new data was captured from a survey plane flying at 500ft. 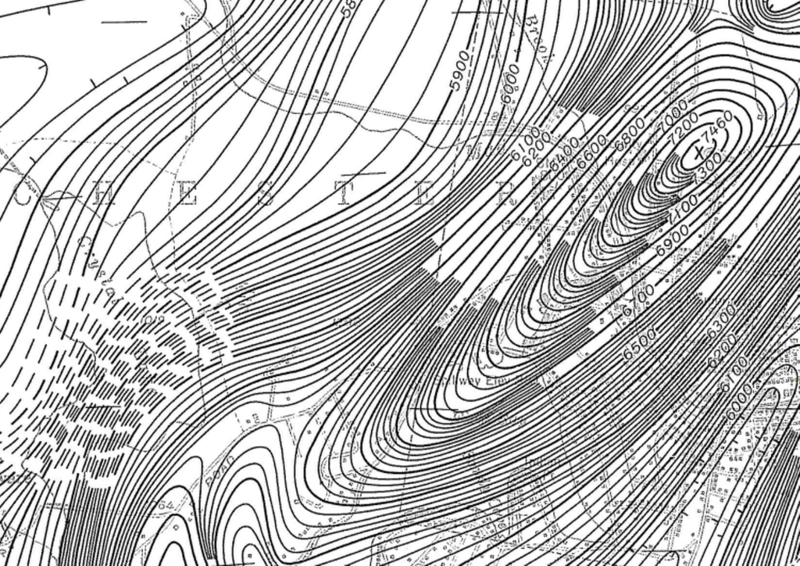 The resulting data points subsequently interpolated as lines of equal magnetic value (in gammas) and drawn as magnetic contours (isogonic lines). The resulting map of the intensity of the magentic field is at medium scale (1:24,000) and shows considerable variation across the mapped area. The detail is impressive but the approach is novel for the way in which individual contours are dropped in heavily detailed areas leaving only the index contours. Given the dramatic variation in magnetic field intensities there simply isn’t another suitable approach and the balance of detail and clarity is maintained throughout. Good contour labelling assists in interpretation. A great map compilation showing the use of an uncluttered and simplified base map for the display of detailed thematic overlays. The fact the entire map is in monochrome shows how well the authors have managed to combine the base with the overlay sensibly. It also shows that an overlay needs to enable the base to be seen (otherwise what is the point!) and shouldn’t shroud it. 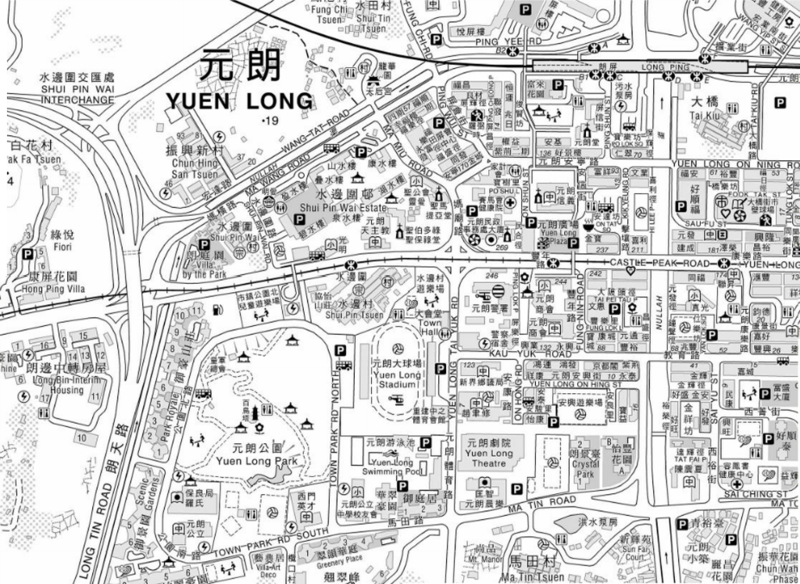 Finally – colour isn’t always necessary and this map shows you can create complex and detailed maps with the simple approach of black on white. There’s an art to it but this map illustrates it well. Our mental maps of the world can be impacted by knowledge, experience and our sense of what and where is important to us as individuals. 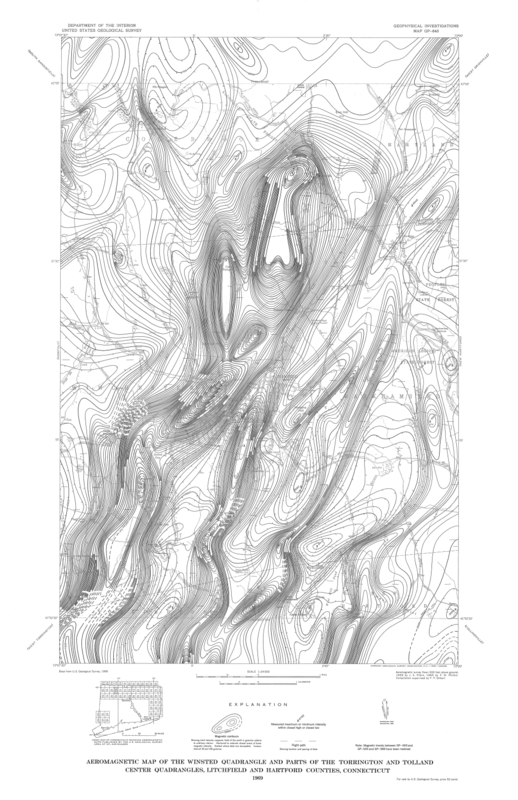 It’s no wonder, then, that our own personal maps are heavily distorted and reflect a warped geography often exaggerating the familiar and ignoring places and detail that are irrelevant to us. 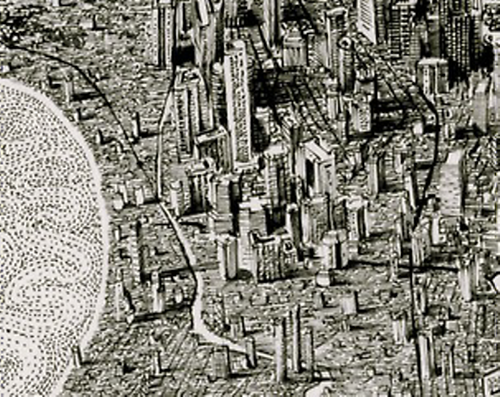 When drawn, we often see bizarre landscapes emerge. Here, a comical take on the mental map of what is important to the individual from ‘Sloane Rangerland’. The shapes of countries are hugely distorted. There’s a focus not only on England but also a wildly exaggerated road network comprising of the important roads around Sloane Square, London. Only the important towns and cities are located with no real sense of hierarchy yet the map works. Its annotations (as speech bubbles) narrate the landscape and demonstrate that hugely personal maps can be successful in communicating a very specific theme. This map also illustrates the value of mapping in black and white. Colour can often complicate a map so if it’s unnecessary then consider monochrome – it certainly focuses the design thinking. 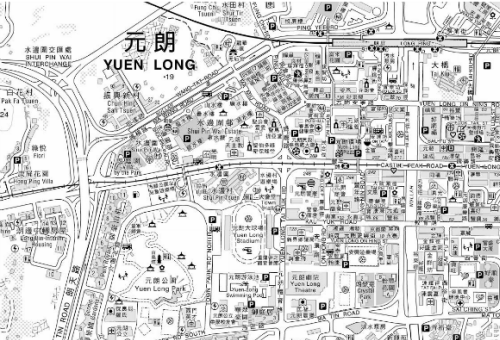 Published by the Survey and Mapping Office of the Government of the Hong Kong Special Administrative Region, this monochrome street map series at 1:10,000 covers the entire region across 59 sheets with contours at a 20m interval. 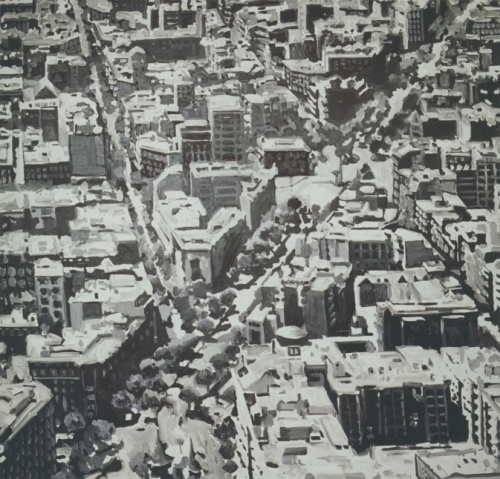 It is highly detailed to include all the necessary topographic elements of roads, buildings and points of interest. 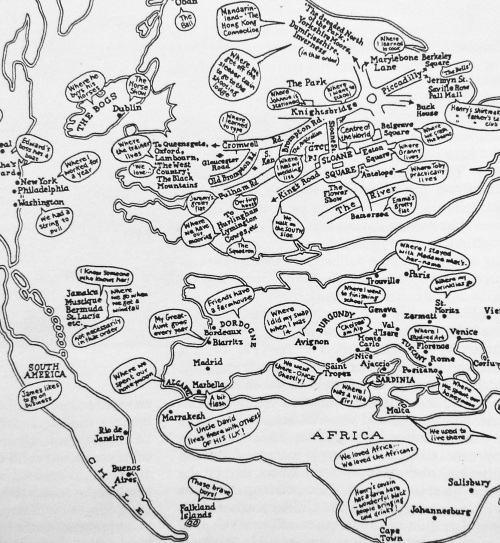 The greatest achievement of this map series is that it is published entirely in monochrome. Given the ease of which colour can be applied to maps today it serves as a perfect reminder that often, monochrome can be both useful and impactful. The map also demonstrates the clarity of design that the cartographers achieved given the limitations imposed by the lack of colour. They managed to design over 100 uniquely identifiable features through the design of black and white point, line and area features. This is map design stripped to its very basics but to great effect. Designing in monochrome is a very useful way to control your design even if you end up adding colour. 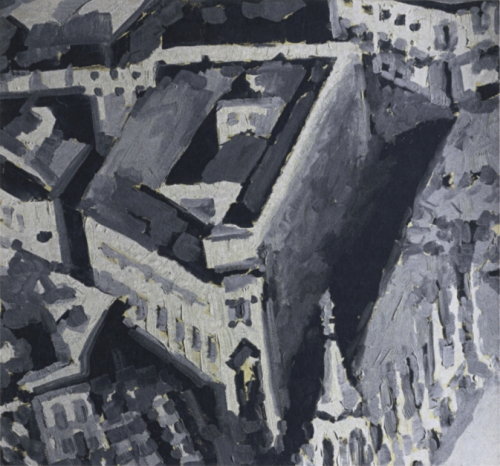 A zoomable version is available on the ICA web site, here, to allow more detailed inspection.